Asthma is a condition that causes episodes of decreased airflow in the lungs from inflammation or constriction of the air passages, which is not constant, but comes and goes. It affects more than 22 million people in the United States and almost 7 million children. There is a genetic component to asthma and, therefore, people who have family members with allergies or asthma are more likely to have asthma. 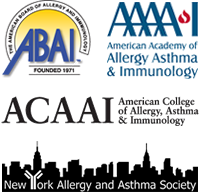 The majority of individuals with asthma also have allergic triggers for their asthma. Those individuals have what is known as “allergic asthma” and this is the most common form of asthma. Indoor allergens such as house dust mites, pet dander, mold, and pollen are among the most common allergic triggers. Other triggers can also cause asthma symptoms, such as airway irritants (tobacco smoke, air pollution, perfumes), exercise, cold air, weather changes, and humidity and other health conditions can compound and aggravate asthma including obesity, sleep apnea,sinus disease, acid reflux or viral infections. 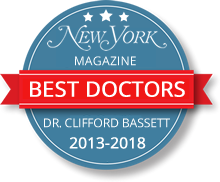 When you come to our NYC office, we will take your history and perform a physical exam. We will perform a breathing test (spirometry) on the computer to see how your large and small airways of your lungs are performing. 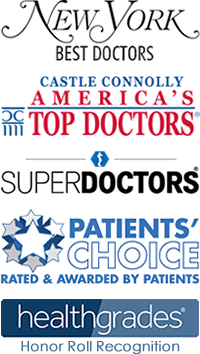 We may also do blood tests or allergy tests as necessary. Treatment will vary depending on the severity of your asthma. Generally, treating asthma requires you to avoid the source(s) that trigger your asthma, especially if you have “allergic asthma,” as well as taking medication. There are two general types of medications prescribed to treat asthma: quick relief medications and controller medications. Quick relief medications are used to relieve the symptoms of an asthma attack and controller medications are generally used for long-term asthma control to treat the underlying inflammation of the lungs. 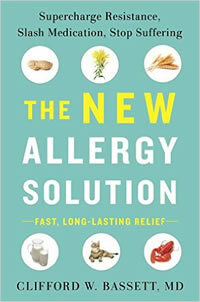 Your allergist explain what is needed during your visit. Studies show that people with asthma who see an allergist have better controlled asthma resulting in less visits to the doctor and emergency room as well as an overall reduction in total costs.